Charlie Chaplin : Who was Professor Bosco? The name “Professor Bosco” will ring a bell to those familiar with the work of Charlie Chaplin. This was the name of the magician in his 1928 classic, The Circus. 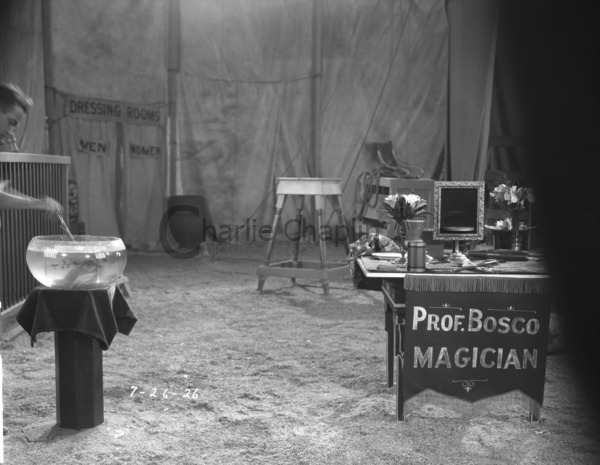 Almost a decade earlier, in 1919 during production of The Kid, Chaplin filmed some never-released business in which he appeared in unusual costume and make-up as a flea trainer named Professor Bosco. Documents in the Chaplin archives indicate that Chaplin considered incorporating this rare sequence into a film called The Professor in 1922. “Professor Bosco” was therefore a name that Chaplin liked – but where did it come from? According to Chaplin biographer David Robinson, it is a real name, clearly inspired by a real person: “Professor” Leotard Bosco. Bosco’s real name was James Frederick Greathead, and he was born in Bristol in 1850. At 12, he was selling programmes at Cook’s Circus. At 16, he joined a magician, Rubini, before developing his own spectacle act of The Fairy Fountains. Unfortunately, he was ruined when the complex mechanism of the fountains was destroyed in a theatre fire. He nevertheless founded a successful variety company, regularly appearing himself with the modest billing of “The Great and Famous Conjuror”. The earliest mentions of him by his nom d’artiste date to 1872, so in all likelihood this was the point at which he adopted the new name, which came from the immensely popular French acrobat, Jules Léotard, inventor of the flying trapeze act. At the time, the first name Leotard did not have the same comedic connotation that it does today. In 1883, Bosco was back in his native Bristol to present Bosco’s Great American Minstrels at the Colston Hall. The show was preceded by a grand parade through Bristol, “headed by the famous BOSCO in the American carriage given to him by President Grant of America at Niblo’s Gardens, New York, in 1879”. It should be noted, however, that for the moment, no other references have been found to any American appearances. Bosco seems to have had a passion for taking over buildings and turning them into places of entertainment. One of these was the Mechanics Hall in Hull, which he opened in 1888, renaming it “Bosco’s Empire Palace of Varieties”. 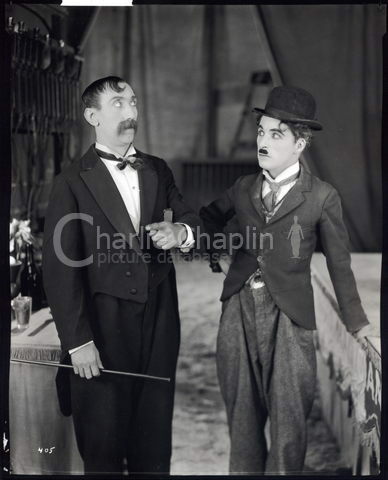 It is here that Bosco has his place in the Chaplin story: Charles Chaplin Senior was performing at Bosco’s Empire Palace of Varieties when his son, Charlie, was born on 16 April 1889. On account of this, the colourful character of Bosco may have been an early piece of Chaplin family myth, perhaps sticking in Charlie’s magpie mind. Professor Bosco's (George Davis) moustache in The Circus bears at least a slight resemblance to that of the real Professor Bosco pictured above. Coincidence? In 1892, Bosco took on a partner, H.T. Downs, to whom he sold out a year or two later, to go on to Bradford to establish the abortive Jollity Theatre. Constantly moving on, at the time of his death from diabetes on 23 August 1895, Bosco was acting as General Manager at the New Royal in Aston, Birmingham. He was very well liked in Aston, and praised for his charitable activities.